NGW Premium: For Professionals who seek in-depth understanding of current developments. Includes NGW Magazine and Exclusive Original Content. Have the Inside Track. NGW Magazine. Exclusive Content. The Inside Track. Daily news coverage by our experienced and knowledgeable Editorial team. 1. China and the US could finally reach a deal which would send a considerable amount of American LNG to China, and this could lead to a decline in price. 2. China could be self-sufficient in the near future and need neither Russian nor US gas. The toughening of European legislation regarding carbon dioxide emissions (CO2) and, consequent rise of aggressive decarbonisation policies, make the future of fossil fuels – and natural gas in particular – increasingly questionable. The large-scale deployment of renewable energy sources, whose costs have been consistently falling in recent years, has already reduced the demand for hydrocarbons, notably in power generation. If current trends continue it would entail serious and far reaching consequences for the whole European gas community, which will be obliged to significantly cut production. The Australian east coast gas market has undergone a profound change in the past few years since the start-up of the three LNG export projects in Queensland. ConocoPhillips-Origin Energy’s Australia Pacific LNG (APLNG), Shell’s Queensland Curtis LNG and the Santos-led Gladstone LNG rely on coalbed methane (CBM) from the Bowen and Surat Basins, unlike the conventional gas that feeds Australia’s older west coast LNG industry. Spanish utility Endesa wants to grow its share of the country's growing gas market, and sees LNG as a way to get there. In 2014, the company inked a 20-year deal with US LNG company Cheniere to begin sourcing LNG directly from the US once the first train of Cheniere's Corpus Christi liquefaction plant enters operation in summer. Under the terms of that deal, Endesa will buy 2bn m3/year, with the first shipments due to start in July this year. This is a departure for the company, which until now has been buying LNG on a CIF-delivered basis to ports in Spain. It will now be chartering its own vessels under long-term contracts to source directly from the US, on a FOB basis, which would allow it to divert to other markets if the price is advantageous. It also underscores Endesa and its Italian parent Enel's desire to move further up the value chain. Norwegian gas exports are expected to grow this year as new production comes online, and by 2022 a new pipeline will expand sales in eastern Europe. However, stiff competition from cheaper LNG (and renewables) could challenge Norway’s pipeline exports over the next few years, despite falling gas output in Europe. Norway is the largest gas supplier to Europe after Russia, and while gas output fell slightly last year, new field and infrastructure start-ups should see growth return this year – although whether that translates into higher exports to Europe depends partly on how much LNG arrives. The International Energy Agency (IEA) released its annual ‘Global Energy & CO2 Emissions Report’ (GECO 2019) March 26 and it makes good reading for natural gas but raises concerns with regards to carbon emissions in 2018. These sharply to 33.1 gigatons (Gt) (Figure 1). Coal contributed over 30% to this. —— International trade has an important influence on the global energy system: it underpins economic growth and also allows countries to diversify their sources of energy. — If the recent trade disputes escalate they could have a significant impact on the energy outlook. — A slower GDP growth trend would reduce the level of world GDP in 2040 relative to BP’s Energy Transition (ET) scenario by 6%, and energy demand by over 4%. Those falls would be concentrated in countries and regions most exposed to foreign trade and in fuels, oil, gas and coal (Figure 1). — This general pattern is also evident in individual countries: lower energy demand and a shift in the fuel mix towards domestically- produced sources of energy. 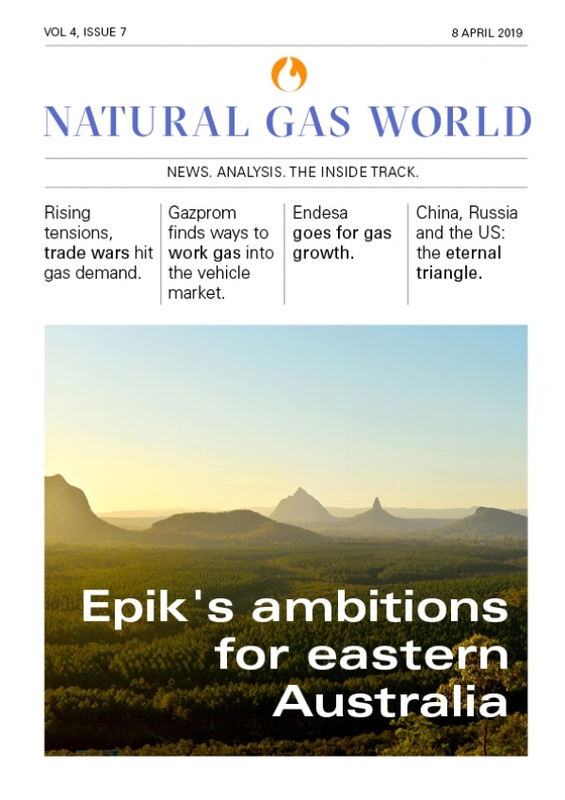 LNG Condensed brings you independent analysis of the LNG world's rapidly evolving markets. Covering the length of the LNG value chain and the breadth of this global industry, it will inform, provoke and enrich your decision making. Published monthly, LNG Condensed provides original content on industry developments by the leading editorial team from Natural Gas World. LNG Condensed is your magazine for the fuel of the future.